Think bubblegum, think sweet cupcakes, bright yet warm pastel colors, perhaps with some macaroons, Oh I love seeing these. Such a refreshment after being overly obsessed with Gucci's dark and sensuous Fall campaign, with saturated warm hues that make it look almost cinematic. 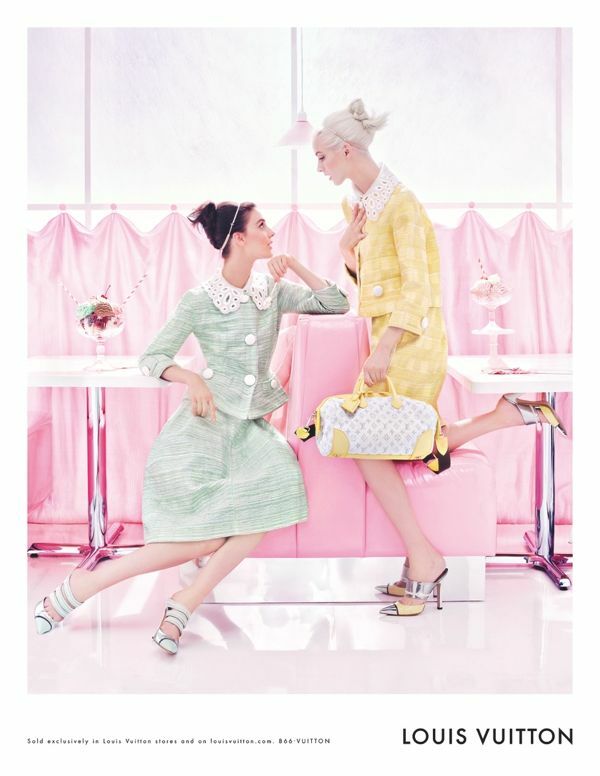 "All the tone and texture of the collection – the lightness, the prettiness, the broderie anglaise, the millefeuille layers of organza – are recreated in these wonderful images by Steven Meisel. It is all very soft and very sweet, yet at the same time very bold and very graphic," says Louis Vuitton Artistic Director Marc Jacobs. 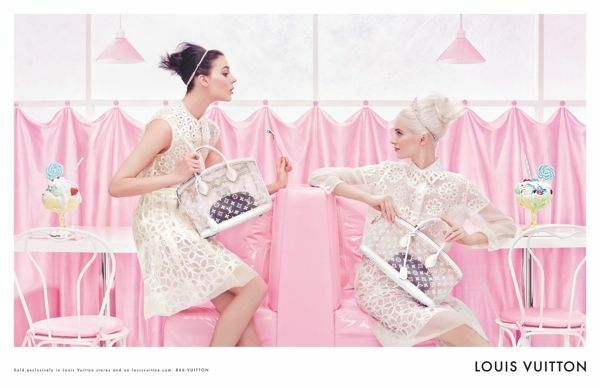 The Louis Vuitton Spring/Summer 2012 advertising campaign once again takes up the narrative of the fashion show, continuing it from the point where the woman steps daintily off the pure white fairground carrousel and into the pastel pink paradise of a nearby ice cream parlor, complete with a mouth-watering array of Chantilly-topped sundaes. As for me, I can stare at those mint (pastel or whatsoever) green pointed-toe mules in with metal toe caps without blinking. Pastel perfection. I freaking adore pastel colours!